Etherborn has come a long way since its newly-minted development studio, Altered Matter, began working on the project in 2016. The physics-defying puzzler is quickly nearing release, and we managed to get our hands on an early build of the game to experience its first three levels. Visually, Etherborn offers a lot to take in. 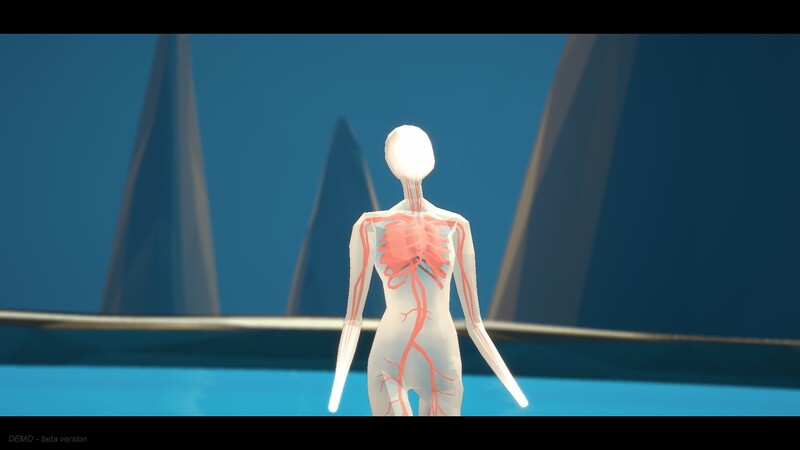 For starters, it features a transparent, voiceless humanoid as a playable character. No real information is given about them, and it is trippy to see their internal organs briefly during the introduction. The world map, at least the portion of it that we played through in our preview build, involves a tree and some clever design. The actual levels are diverse physics playgrounds. Some are smaller than others, but they can be densely-packed with puzzles to figure out. The Unity Engine runs under the hood for Etherborn, and while we were playing on a PC (controlled via DualShock 4), it should scale well at 1080p on the PlayStation 4 and 4K on the PS4 Pro. A pleasing, ethereal soundtrack accompanies Etherborn, one that can help you get in the mood to solve puzzles. The player character also makes footstep noises but is otherwise silent. The orbs that are collected and disbursed also make ping-like sound effects. Generally, though, the game’s audio stays out of the way, perhaps in an effort to give you time to think about a solution. There is a story in Etherborn, something you don’t see too often in puzzle games. The voiceless humanoid character represents “the bare beginnings of a person.” The claim is that the concept of language, and having a word for anything and everything in the universe, is both a blessing and a curse. This character, who currently possesses no voice, sees things differently, and thus in this world is able to literally take a different angle to get around obstacles that get in their way. Etherborn is a game you will play to feel smarter, as its puzzles involving orbs and switches seem simple at first, but quickly require you to stop and think about what you are doing. The levels are part of each puzzle, as well. Since gravity is permeable in Etherborn, the only constant in this world is that your character will fall downwards, relative to their feet. Certain rounded corners and ramps allow the player to change their perspective, and climbing onto them changes gravity’s reference point. That is, a ramp may enable you to walk onto what was just considered a wall, but once you are walking on this wall, it essentially becomes the ground. It’s a difficult concept to explain, but easy and almost natural in its execution in game form. The fantastic level design shown in our preview build is a great sign of things to come. Meanwhile, the vague story that contains some ominous notes has us waiting until release to find out just what is going on. With news of players completing ultra-tough games in record time, there seems to be a push for having artificial constraints on games, such as timers. Etherborn takes the opposite approach, and does not rush you. You are free to take as long as you need on each level, whether that’s just a couple of minutes or much longer. On the other hand, there are no hints given out, it’s up to you to figure out exactly what needs to be done in each level. There was mention in an FAQ of an “Added Challenge” mode to be added to the game some time in the future, though it only referenced harder-to-reach puzzle elements. So it seems that those who enjoy speed running will need to bring their own timers for a game as singularly focused as Etherborn. Etherborn is sure to please puzzle fans with its mind-bending physics and playful level design. 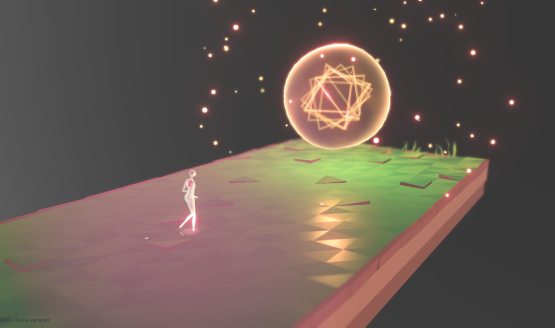 Thinking spatially is a skill many of us could brush up on, and the deceptively simple task of collecting and using floating orbs adds to each level’s depth in satisfying ways. While the first three levels on offer in our demo build weren’t particularly challenging, the general design of Etherborn all but ensures that things will become much more convoluted, and that’s a good thing. Prepare to switch your perspective up (or down, or left, or right) when Etherborn launches later in 2019. Etherborn preview build provided by publisher. Played on a desktop PC using a DualShock 4 controller.